Is organic shampoo and conditioner base safe for the skin? In Aroma Craft, there are many things that can be made simply by adding essential oils to the base material. Today, I’d like to show you how to easily create an aromatic shampoo and conditioner, with essential oils alongside these base materials. The natural shampoo is called SLS-FREE shampoo, and is characterized by the fact it contains no cleansing chemical ingredients derived from petroleum synthetic surfactants such as Sodium Lauryl Sulfate (aka SLS). Often, there are manufacturers who advertise their products as paraben-free, which is famous as a preservative. Instead of being chemical-based, they consist of plant-derived non-ionic surfactants. So let’s compare the common SLS-FREE shampoo with the organic shampoo base. Glycerin glycerin … It is a raw vegetable material, used as a solvent or humectant. At the same time it keeps moisture in the skin and prevents the moisture of the product from evaporating. Use coconut derived ones. Alcohol denat. * Modified alcohol … manufactured from Rye. It is denatured for added drinking but is safe to used for external application, mixing oil and moisture and enhancing preservation. Levulinic acid and Sodium levulinate … Substances naturally contained in sugarcane, derived from starch. Increases product stability. In summary: in both cases, although paraben is not included, the shampoo still contains other preservatives. It is difficult to ascertain the safety concerns surrounding antiseptics, but current thinking states that they can be necessary to maintain the effectiveness of ingredients. The question this leads onto is: can you protect the health of the skin when using them? 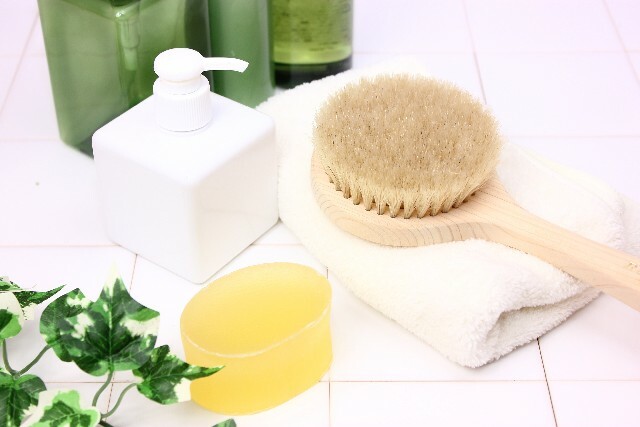 The raw material of natural shampoo is composed of ingredients that will remove dirt while protecting the skin without using synthetic surfactants. The question of whether a product is organic or non-organic seems to be decided depending on whether the blended vegetable active ingredients are organic. Therefore, a 100% complete organic base material is difficult to achieve. For shampoo base materials, it may be better to point out the presence or absence of synthetic surfactants. When comparing the conditioners derived from both, it appears that the organic base is more natural and looks more friendly to the skin than a non-organic base. However, it still contains surfactants of preservatives and emulsion stabilizers, and it seems to be hard to find 100% organic commercial conditioner products. The merit of using the base material is its ease in aroma craft, especially because it takes a lot of time and labour to hand-make shampoo and conditioner from scratch. Although the base materials of shampoo and conditioner are not 100% organic, they are overwhelmingly made of milder and gentler ingredients to the skin compared to the commercially available shampoos and conditioners. They can also match easily to your own scalp and hair. I think that there are many base materials you can obtain an aromatic effect from merely by adding essential oils.